Determined to take their fight to bitter the end, 14 refugees are on hunger strike in the centre of Athens, asking to be reunited with their families in northwest Europe. Most of them Syrians, they can’t wait to meet their parents, children or siblings and put the horror of war behind them. They say that because they are desperate, they are easy prey to smugglers. “The smugglers are taking advantage of us.” says Fawaz, a refugee from Syria. Many of the refugees have already been accepted into Germany, but remain in Greece. They say living conditions at camps are terrible. “I wish I had stayed in Syria. At least in Syria we knew what to expect. If we died, we would die with dignity. Not like how we live here, abandoned by everybody,” says Fidel, a refugee from Syria. The hunger strikers are demanding that the German and Greek authorities respect the legal limit of six months for family reunification. 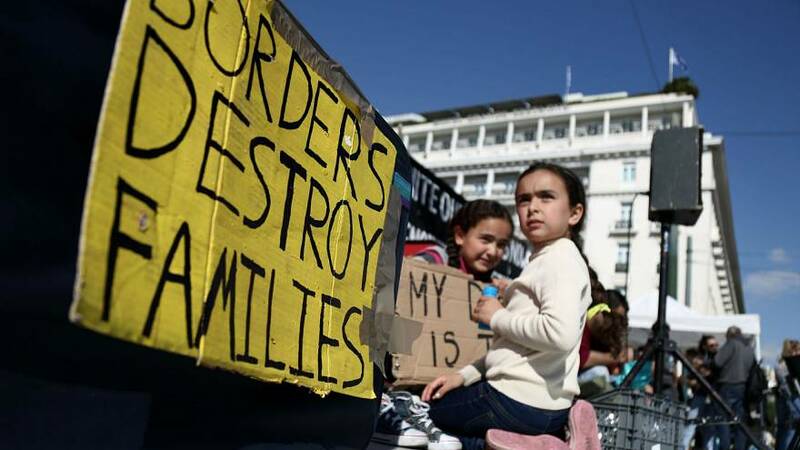 Next week, refugee families that have been living seperately for years, are planning to demonstrate simultaneously, in Athens and in Berlin.